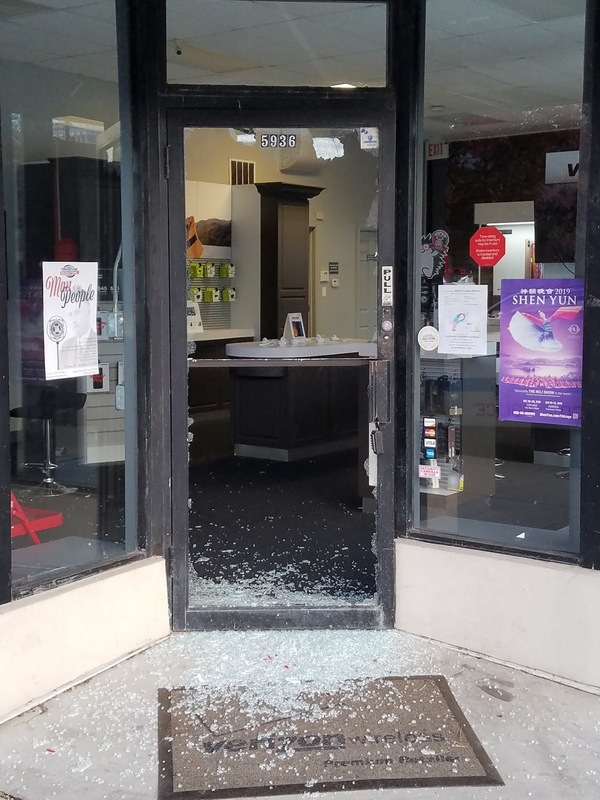 More North Side businesses have fallen victim to burglars who are targeting small electronics and cash that has been left in registers. Chicago police issued warnings about similar crimes in October, November, and earlier this month. The most recently-targeted businesses include Allende restaurant, 2408 North Lincoln, on Dec. 3rd; Los Arcos restaurant at 5525 North Clark on Dec. 5th; Oberweis Dairy, 3055 North Sheffield, at 7:23 a.m. on Dec. 6th; My Eye Doctor, 3760 North Broadway, at 7:07 a.m. on Dec. 8th; and BB Cleaners at 4638 North Clark on Dec. 8th. A witness saw the Oberweis burglar throw bricks through the shop’s front door to gain entry. The burglar was gone by the time police arrived. Front glass has been broken or rear doors pried open to gain entry to the targeted shops. Meanwhile, police in the Loop are searching for a man who broke into a downtown Akira store twice last week. The Loop incidents are not believed to be related to the burglaries reported farther north, according to a source. A community alert issued by Area Central detectives said the man seen here forced his way into a store in the 100 block of South State by breaching the revolving door at 1:40 a.m. on Dec. 5th and again during the early morning hours of Dec. 9th. Once inside the store, the man “took as many articles of clothing as he was able to carry,” police said. Police did not identify the Akira store by name, but the location was confirmed to CWBChicago by a source. The suspect is described as a slim black male in his early 30’s who stands about 5’6” tall and has dreadlocks. 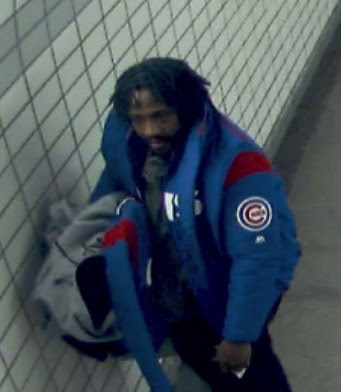 He was seen wearing a Cubs coat. • Keep the perimeter of your property well lighted. • Update security video equipment. • If you are a victim do not touch anything, call police immediately. Anyone with information about the suspect seen in the photo can contact Area Central detectives at (312) 747-8384 regarding cases JB540658 and JB546084.